I was planning on doing the same but I'll never get round to it. I do have an original card but it's very faded. It's also torn in places but not so much that it isn't fixable. I'm happy to scan it for you but colour matching will be guess work. Cools' would be better if he can find a scanner but if you're eager I can probably scan mine tonight. Yeah don't worry about it. Stitching isn't a big problem. mpatou, sorry I don't know why I said I'd do a scan tonight. It's my toddler's birthday today, he's poorly, and my scanner is noisy. I stupidly imagined a world where I'd get a few minutes to do it. ...Sigh. sorry for the bump but whatever happened to mpatou's decrypted+fixed romset? It seems it disappeared from the net, what is the reason behind it?! jammarcade.net has removed all sega decrypted romfiles to prevent SEGA (which is fighting against emulation, juste like Nintendo) to close the website. But "my" romsets has been emulated with Mame for years now, si you can find them on emulation and arcade romfiles download websites. first of all, thanks for that decryption, it really is great from what I read! is your set the one called "wbmlvcd.zip" ? Yes, that's wbmlvcd.zip. 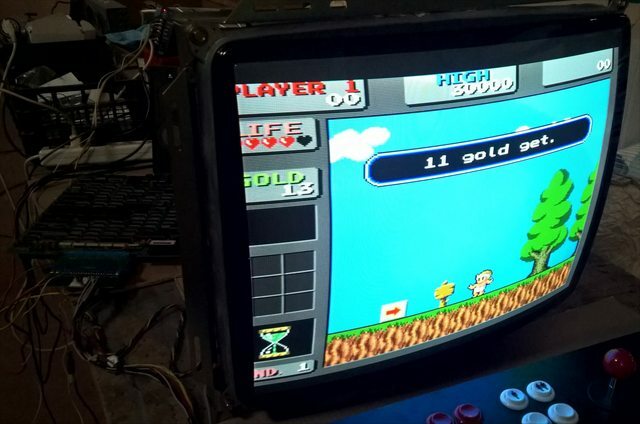 But be advised this romset will not work as it on a modified PCB or on a bootleg : depending on the hardware (aka the romchips that are already on it), files modifications might be necessary. 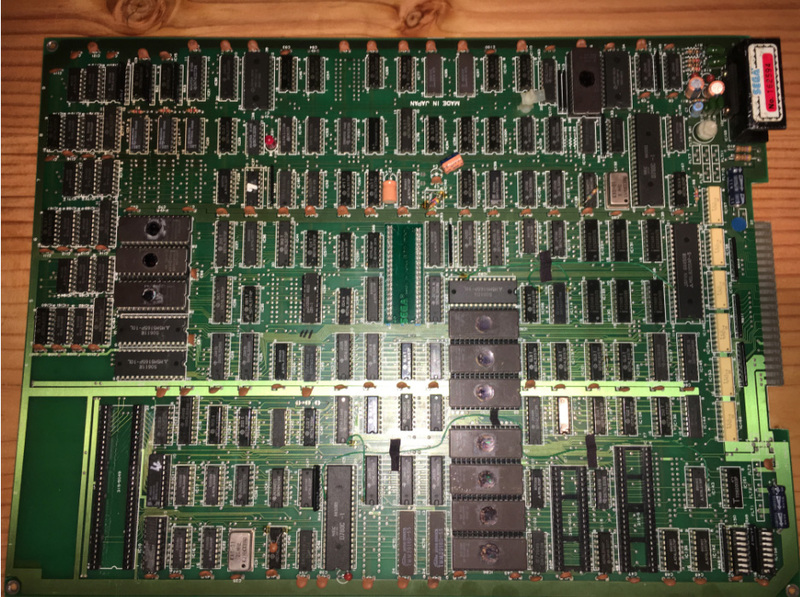 It is my understanding the board I got already runs the decrypted set - all eproms on it are 27C256 and there is a normal Z80 cpu at IC55 installed on it. Does it need anything more to run your set? 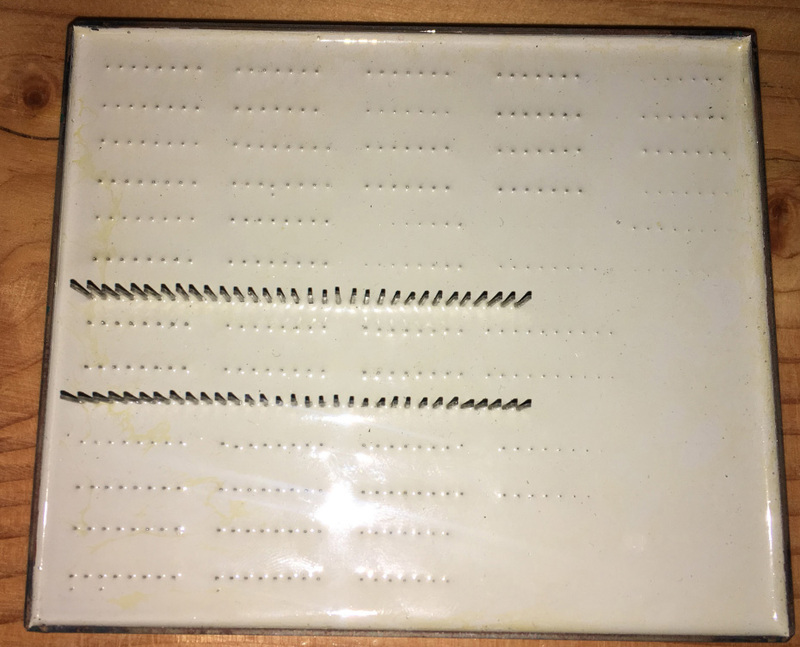 I don't understand if you already have a wbml pcb, or if you're talking about the one you paid and haven't recieved yet. 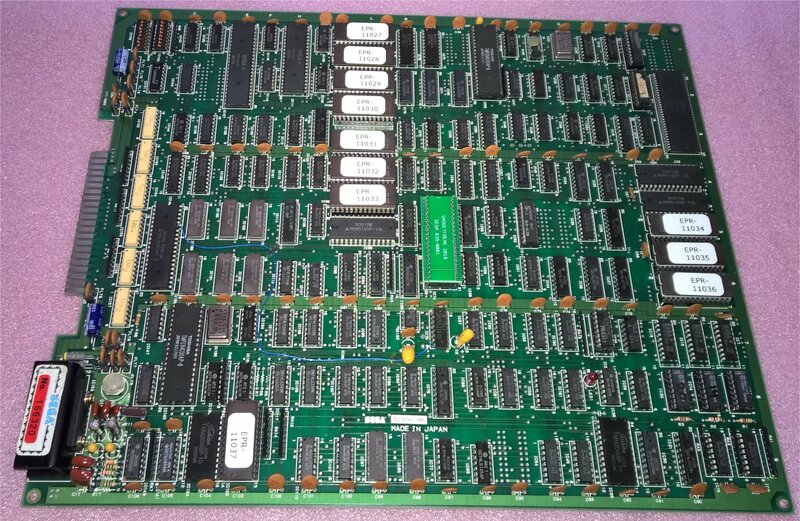 I wonder because if it has a regular z80 as a cpu and 27(c)256 eproms only, it certainly runs with my decrypted romset already, as long as all other decrypted romsets require at least two 27(c)512. 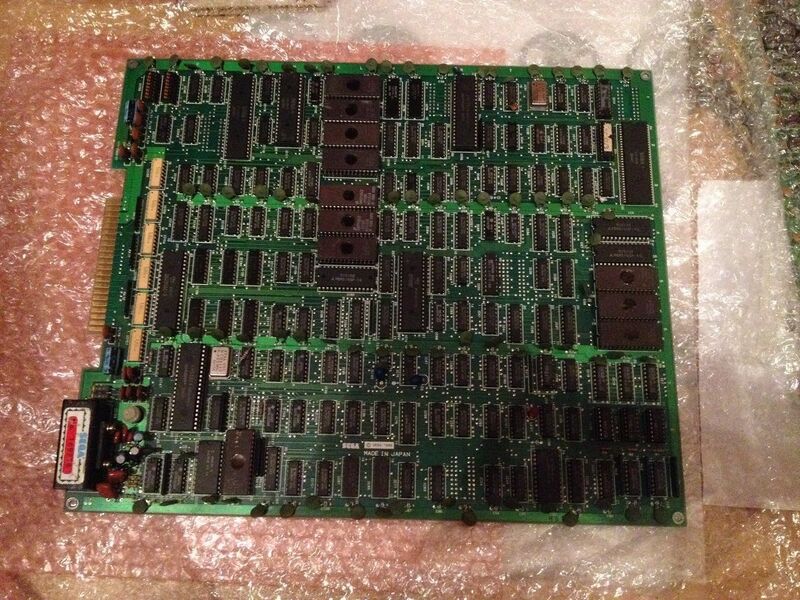 The pics I posted on ukvac are the board I received from that seller. I have it at hand. thanks mpatou for the help and for creating this romset! I just stumbled over this thread..
they just reach insane temps and I just don't like it , no wonder they are ceramic ones. I chose the HM6148HLP-55 as replacements, being cmos they should be run much cooler. 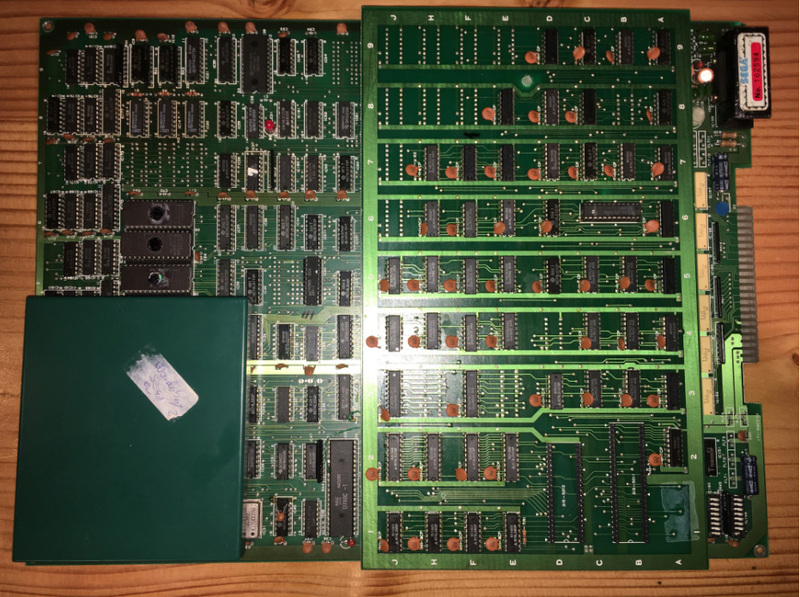 My goal is to help the board running for another 30 years, if it means I will have to replace some really old components then so be it. 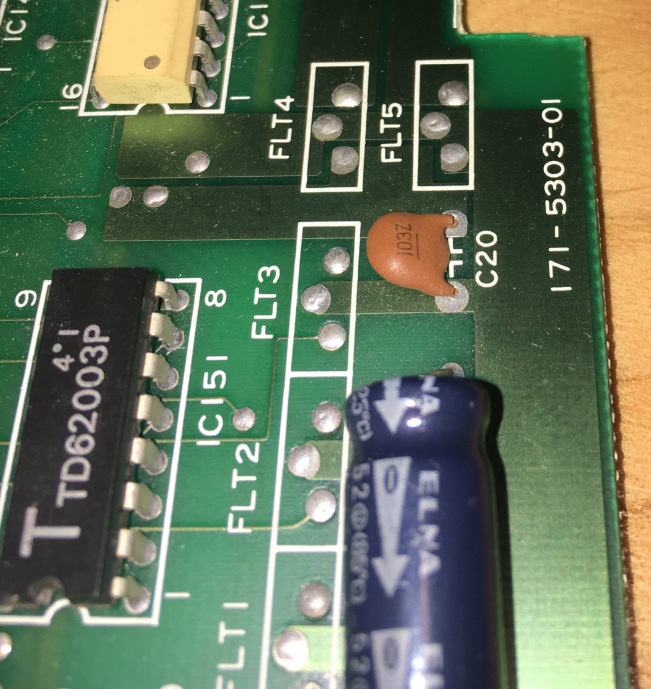 I also found that my board is really 5v hungry: I have to set my meanwell psu to ~5.25v so the board will start and be stable without resetting. 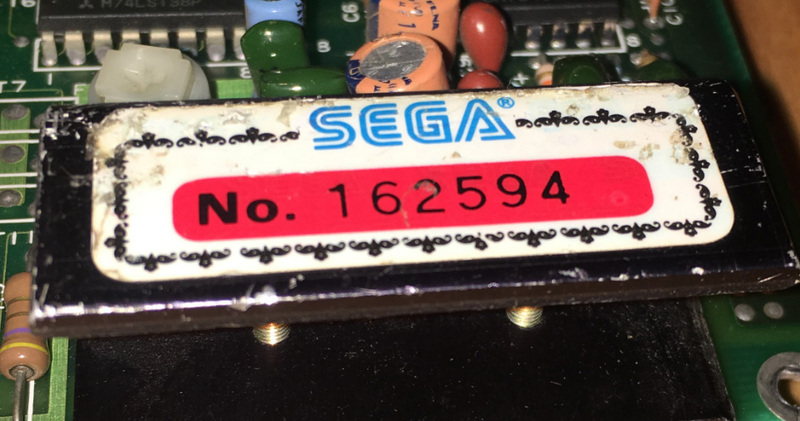 There is a god amount of voltage drop - the far-end gfx roms operate with ~4.8v , maybe replacing the really old srams will help on that regard. 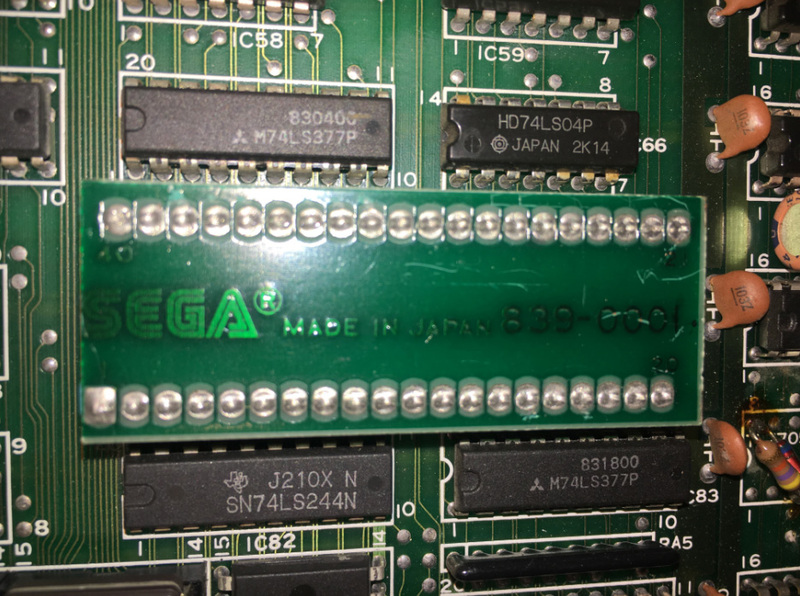 There is a god amount of voltage drop - the far-end gfx roms operate with ~4.8v , maybe replacing the really old srams will help on that regard. You could run an additional power line to the far end of the board. It's actually a pretty common practice on older boards. I'll see what happens once the 6 little furnaces get replaced , thanks for the tip! 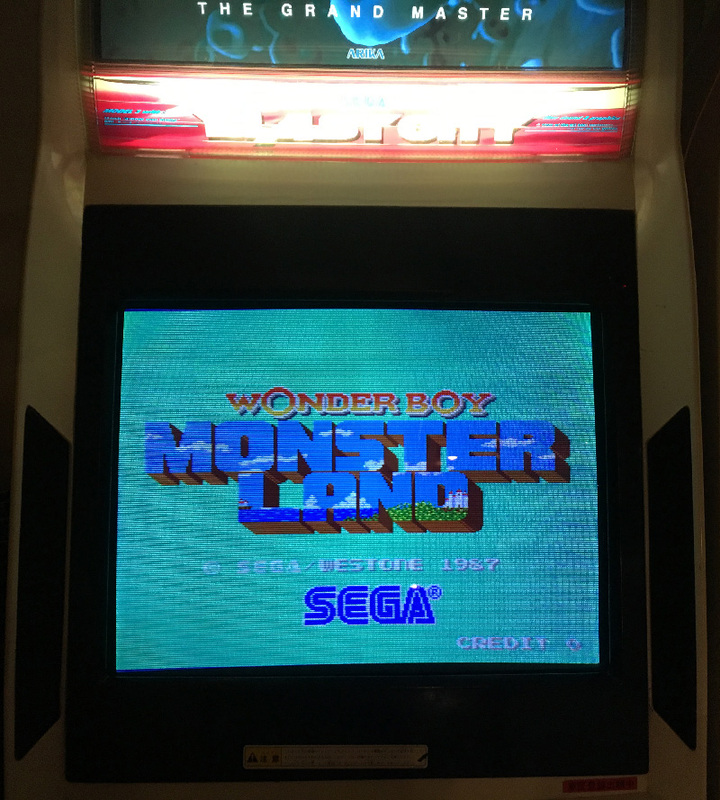 Hi, I have the following Monster Land I recently purchased, I believe it is a Galaxy Bootleg? Do these English romsets work without any modification? 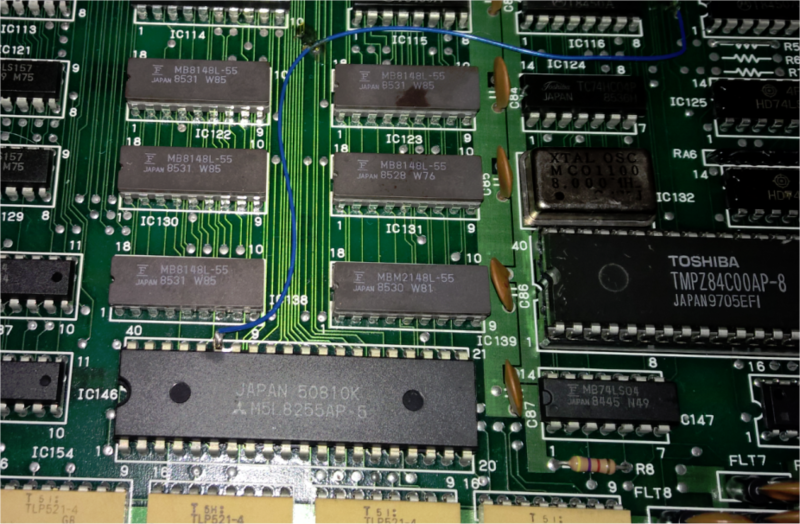 If so could you assist in letting me know which EEPROMS need replacing and matching rom file? Let me know if you need anymore information. Thanks that's great news, below is the sizes, I believe roms 5-10 need to be replace? 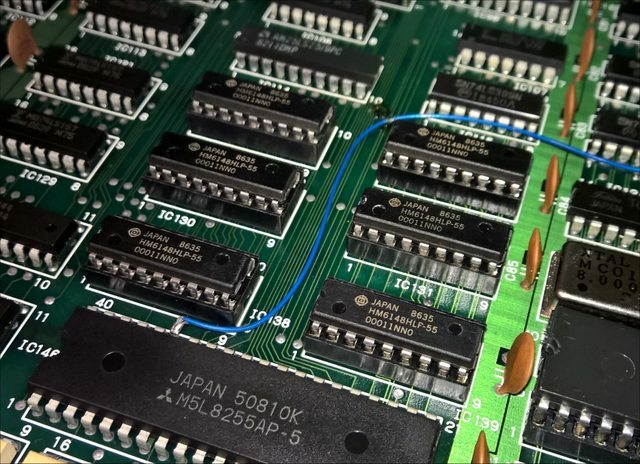 Where is the best location now to get a copy of the 256kb and 512kb romsets and do you know with rom I need to write to each eprom? the difference in heat is just too great. From 80 degrees "burn finger in 2sec" temps now the new ones work at 25~30max - they are still 1986 devices after all... IMHO it's a must to replace along the tantalum caps. I will measure later if the new ram also affected the voltage drop on the board.